As you probably know, Hurricane Maria devastated Puerto Rico and the Virgin Islands. This month’s Charitable Giving Initiative sale is in support of Hurricane Maria relief efforts. 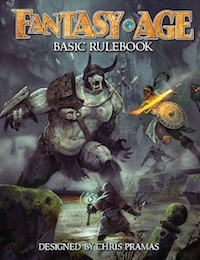 For a limited time, Fantasy AGE Basic Rulebook and Fantasy AGE Bestiary are 10% off, in both print and PDF formats in our online store, and when you partake we’ll donate 20% of the sale proceeds to Hurricane Maria Community Relief & Recovery Fund.